Your Trusted Plumber in Defiance and Napoleon, OH! 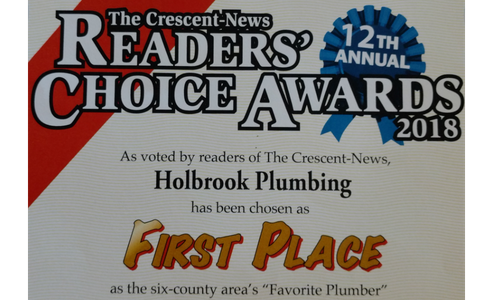 When you need a plumber that knows how to address your plumbing repairs and installs with precision and ease, you call Holbrook Plumbing. We offer fast and reliable solutions for common plumbing issues that range from leaky faucets to clogged sewers and water pipes to broken water heaters. Our specialists will come in and inspect every faucet of your home to ensure that your plumbing systems are running optimally. We install sump pumps, clean pipes and perform every necessary repair you may need! Not only will utilizing our services keep you in a comfortable state, but it will also add value to your home. That's right! Hiring an efficient plumber like us that can keep your system in check will be sure to enhance the security and buyer value of your home! So, when you need a plumber to take care of business, look no further---our team is here for you! 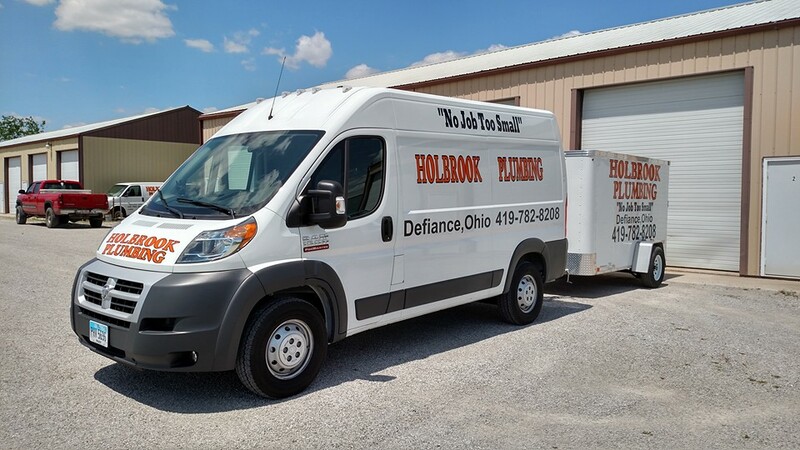 For fast, reliable and quality residential plumbing repairs and installations in Defiance, OH, more families and businesses choose Holbrook Plumbing. We can repair and clean sewage pipes, install new toilets, sinks and so much more! Your home's sewage system plays a vital role in relation to how your house functions. When a pipe or drain is clogged, you immediately see backups---we don't want that to happen! So, our team locates and drains blockages quickly to keep things running smoothly again! At times, water heaters either break down or stop performing optimally. When that happens, we're on it! We install, repair and replace water heaters with ease! Sump pumps are valuable commodities for homeowners to have because, in the event of flooding, your basement stays dry! Sump pumps literally remove water and flow it away from your home. Got a tough plumbing issue? From leaking sinks and clogged sewer pipes to new installations and general plumbing repairs, with Holbrook Plumbing, we've got it covered! Simple. We know plumbing and are passionate about finding the most cost-effective solutions for our clients. When you call us with a toilet overflowing or a busted pipe, we do our part to lessen the burden by fixing the problem quickly without breaking your wallet!